Kate Wellman is an Associate with the Litigation team in Moore & Van Allen's Charlotte office whose practice includes commercial litigation, government investigations, and regulatory advice and compliance. Wellman has experience assisting clients in a range of commercial disputes in federal and state courts, including matters involving breach of contract, business torts, breach of fiduciary duty, and federal securities laws. 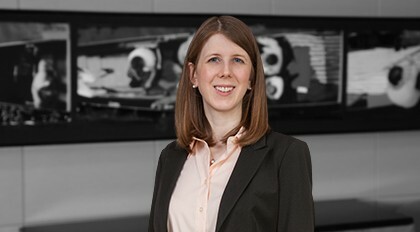 Wellman’s regulatory practice includes representation of financial institutions in inquiries involving the U.S. Department of Justice, the Office of the Comptroller of the Currency, the Federal Reserve, the U.K. Financial Conduct Authority, and financial regulators in other foreign countries. Wellman has managed and coordinated internal reviews relating to systems and controls issues, including related to analysis of cross-border accounts for anti-money laundering and tax compliance issues. As part of her financial regulatory experience, Wellman also has assisted clients with recovery and resolution planning, corporate governance matters, and other regulatory compliance issues. Prior to joining Moore & Van Allen, Wellman was a Litigation Associate in the New York office of Cleary Gottlieb Steen & Hamilton LLP. Wellman earned her J.D. from Columbia Law School, where she was recognized for academic achievement all three years and awarded the Robert Noxon Toppan Prize for submitting the top Constitutional Law examination. “Taking the Next Step in the Legal Response to Domestic Violence: The Need to Reexamine Specialized Domestic Violence Courts from a Victim Perspective,” Columbia Journal of Gender and Law, 2013.